DAVID SAKMYSTER: I’ve been writing SF, Fantasy and Horror since I could read. While other fathers were reading Disney stories to their kids, mine would wait until my mother was out of earshot, then treat me to some creepy classic from Edgar Allan Poe. Soon I was devouring H.P. Lovecraft tales, and moving on to King, Straub, Tolkien and everything else I could find to scare, thrill and amaze. And after closing each book I’d find time to dream that someday I’d try to do what they had done; and then I’d imagine that maybe someday I would help another kid stay up after a story, afraid to turn off the closet light. After winning a creative writing award in High School, I went on to place several short stories, then my first novel, TWILIGHT OF THE FIFTH SUN, published by Dragon Moon Press. In 2005 I won second place in L. Ron Hubbard’s Writer’s of the Future Contest (for my story “The Red Envelope’”in volume XXIII), and have published several dozen short stories since, in various venues. 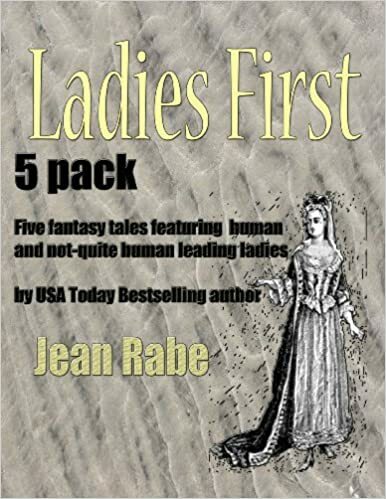 JEAN RABE: I’ve written thirty three fantasy, science fiction, and adventure novels, and more than seventy short stories. When I’m not writing-which isn’t often-I’m editing…more than 100 magazine issues and a few dozen anthologies. My genre writing includes military, urban fantasy, mystery, horror, Western, and contemporary. Calling on my newspaper background (covering courts and cops), I penned a true crime book with noted attorney F. Lee Bailey, When the Husband is the Suspect. I originally hale from Ottawa, Illinois, a smallish town divided by the Illinois River. It’s where I learned how to play the clarinet, to treasure used book stores, to love football, and to appreciate the company of dogs. I attended Northern Illinois University, where I gained a Bachelor of Science degree in Journalism, with an emphasis on geography and geology. That’s where I learned to play Dungeons & Dragons. I still play games, but I use the Pathfinder system now. My first full-time newspaper job was for the Quincy Herald-Whig in Quincy, IL. I met my husband in Quincy, played even more role-playing games than when I was in college, worked as a stagehand for the local theater group, and adopted a most-amazing grandfather from the Illinois Veteran’s Home…my dog Duncan is named for him. My newspaper career took me to Evansville, IN, where I ran the Western Kentucky news bureau for Scripps Howard. I played still more role-playing games, helped run local game and science fiction conventions, befriended Timothy Zahn, exposed a corrupt sheriff, was shot at on a country road while covering an embezzlement story, and traipsed through flea markets held at an aging racetrack. Tiring of reporting on the assorted acts of violence people commit on each other, I applied for a job at TSR, Inc. in Lake Geneva, WI. TSR produced the Dungeons & Dragons game that I was still playing at the time. I interviewed one chilly February day for the position of RPGA Network Coordinator, and accepted the offer the following day. I worked for TSR nearly eight years, leaving to write fiction full time. I’ve taught writing classes, ran the Gen Con Writer’s Symposium for seventeen years, have mentored authors, lecture at conventions, fuse glass, play games . . . I love boardgames, read a lot, and toss tennis balls to [my dogs] Duncan and Missy. Wrinkles does not play catch. So . . .that’s my story. It’s filled with books and books and books and dogs and games and trips to museums and failed attempts to make an edible pineapple chicken stir-fry. I can make a fine pot of chili, however . . . and once upon a time won the chili cook-off at TSR (much to the astonishment of the folks in my department). Now, for the interview . . .
BRAD: You’re both veterans in the publishing world, having plied your trade in several genres. Which genre is exciting you the most right now, and do you think the explosion of viable independent publishing options has help re-invigorate things? JEAN: Urban fantasy . . . but only because I’m new at writing it. I’ve written a LOT of high-fantasy novels, some modern-day adventure novels, but only recently dabbled in a different genre, urban fantasy. I have one novel set in NYC, another (with Donald J. Bingle) set in San Francisco’s Haight-Ashbury neighborhood. One is dark and tinged with horror; the other has a mystery bent. It’s a big playground that I’m only starting to explore. I have two fantasy novels wholly outlined that I haven’t gotten to yet. And another urban fantasy outlined, which I’ll probably tackle first because I’m enjoying the playground. Independent publishing . . . yeah, it’s done a lot to invigorate genre fiction. Quite a few of the new independent publishers are great. Gorgeous covers, good promotion, solid editing. Stacks up to anything the big NY publishers are doing. Some of the publishers, however, are not as professional. Lots of typos in the books, like they’ve been rushed into production. I think you need to do a little looking around to see which independents offer top-notch books. DAVE: Hi, and just let me say I’m psyched to be here and able to discuss creative ventures and aspects of the writing life. I have written in many genres, starting with science fiction and fantasy, but always leaning toward supernatural/horror. I had a lot of favorite early influences—Lovecraft, Poe, King and Barker as well as Asimov and Bradley and Clarke and Tolkien. When I finally got around to writing and thinking I could do this as at least a hobby if not a career, I wanted to go gleefully jumping in and out of all those genres, and mixing them up several at a time. It’s hard for me to pinpoint any one right now that is really taking off, but I love the sense that even mainstream novels and thrillers are rife with supernatural elements or cutting edge sci-fi concepts. I also think independent publishers encourage genre bending and give authors a lot more autonomy, so we aren’t pigeon-holed into that pitch where we have to say we are writing X and that’s all it can be so they can fit it in on the appropriate bookstore shelf. Lately I’ve been having the most success mixing up modern-day thrillers with aspects of supernatural—whether it be magic or ancient science, and I think that’s a real draw for readers who want to be entertained, thrilled and challenged in the sense of having their minds expanded into areas they aren’t normally accustomed to traveling. BRAD: This is more for Jean, but Dave can answer too: as someone who has also edited a lot, do you think hiring an editor is an essential component to indie publishing, or is it more a case of individual authors needing individual levels of expert eyes-on review? JEAN: Geeze, you ALWAYS need an editor. One of the reasons I’m careful about what books I buy from indie publishers is the quality of editing. I’ll thumb through a book and look at random pages before making a purchase. A casual reader might not notice some things, and it might not bother them. But because I’ve worked as an editor for so many years I cringe to read things that have not been edited. It throws me out of the story, and I usually don’t finish the book. I don’t want to waste my time reading something sloppy. That said, I’ve noticed typos in books by major publishers, too. I was on a jury for the IAMTW this past year. One of the nominated books had a big typo in the fourth paragraph from the beginning of the book. URG. How could a copyeditor/editor/any sort of reviewer missed that? There were other typos later. But the fourth paragraph? Geeze. Now, some authors need far less editing than others. And, yeah, an eyes-on review might suffice. But even eyes-on is some sort of editing. I’ve edited authors where I’ve barely touched the manuscript, maybe only mucked with commas or somesuch. But I always seem to find some little thing to correct. DAVE: I love editing my own stuff, but I know my limitations, so I have a team of extremely helpful first reader-slash-editors. So by the time I’m ready to send it to a publisher, it’s pretty much clean and then it’s more of a style and format preference kind of thing that the pro editor does with it (and they’re grateful for that). I also have had some great luck with using a few artists I know for my own covers. But yes, having someone else go through your manuscript with fresh eyes and an ear for style and consistency (and of course fact-checking and logic) is vital for any publication. BRAD: What are you each working on right now that you will have released in the next twelve months? Anything exciting? JEAN: I just finished a Shadowrun novel for editor John Helfers, Shadows Down Under, and it is set for a February 2016 release. I’m also working on a book proposal for a company, and working on a murder mystery that’s been niggling at my brain. I’d like the murder mystery done by the end of the year so I can move on to one of my outlined projects. Yeah, I know, I primarily write fantasy and science fiction…but there was this mystery idea that wouldn’t go away. DAVE: I’m currently multi-tasking away on four exciting projects. First up is the wild conclusion to my collaborative trilogy, JURASSIC DEAD. Book Three takes off months after the zombie plague has been unleashed upon the world. 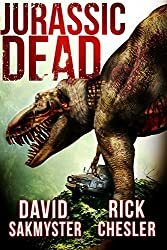 It’s a Walking Dead apocalyptic type scenario, except of course with undead dinosaurs rampaging about and some really neat concepts about how to control the zombies and harness their power. Looking forward to finishing that with co-author and adventure writer Rick Chesler. I’ve also begun my return to my most successful series about psychic archaeologists, THE MORPHEUS INITIATIVE. Book 4 will be called THE TESLA OBJECTIVE, and it brings back a lot of the recurring characters now facing a grave threat and enemies that can cloud their visions so they can’t rely on their talents. I’m also an aspiring screenwriter, and I am working with a producer on two scripts, developing a potential mini series out of each (both in the supernatural/horror suspense genre). Oh—and I’m crazy thrilled to have a short story appearing in the second volume of the X-Files anthology series from IDW Publishing, due out in February! BRAD: You’ve both published through Kevin J. Anderson’s WordFire Press. Are there any WordFire books you can talk about specifically? Give me some plot and story tantalizers? JEAN: I had three novels come out from WordFire this summer. Each is different. Pockets of Darkness: dark, some horror elements. The main character is a high-end thief with a teenaged boy. She’s forced into a heroic role that she fights against. But in the end, she doesn’t have a choice…be the “good guy” or watch her city get overrun by demons. I REALLY liked writing this one, the reviews have been good, and readers have asked me about a sequel. I have the next book already outlined. It takes my hero and her son to Italy. 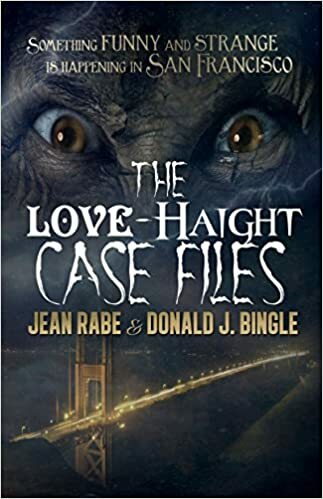 The Love-Haight Casefiles, with Donald J. Bingle. It’s Law & Order meets Buffy the Vampire Slayer with a dash of Walking Dead. It’s about a pair of attorneys who crusade for the rights of OTs (Other Than Humans). Their clients include vampires, zombies, gargoyles, and the like. Lots of fun to work on…and it is WORK double-checking all the legal stuff to make it accurate. I got to do a lot of research on San Francisco, Haight-Ashbury, the 1960s (one of the characters is a ghost who died during the Summer of Love). Planning to do another Love-Haight. Just gotta set aside the time. I want to tackle a wrongful death case. The Cauldron: I wrote this with my friend Gene DeWeese, who was suffering from a nasty form of dementia. Very challenging project, and I am so very proud of it. Science fiction set in the 1970s in Wisconsin and Indiana. Aliens, elephants, the world in danger . . . cool beans, eh? DAVE: I’ve been very honored to be a part of Wordfire Press. Kevin’s been great from the first moment I met him at the Writers of the Future winners’ award week in 2005. He’s been incredibly supportive and encouraging and I’m excited to have two of my books in Wordfire’s catalog. 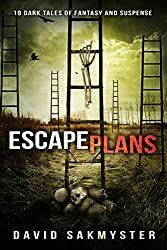 ESCAPE PLANS is my first collection of short stories — 20 of them, all in one book. These are all my favorite stories I’ve had published over the years, and they range from mystery to sci-fi to straight up horror. Then I’m most excited that we just published what I describe as a “dark fantasy thriller”. 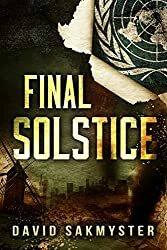 FINAL SOLSTICE takes on climate change in a huge way, with a meteorologist tangling with a mysterious environmental firm that may or may not be directly causing all the catastrophic weather around the world. 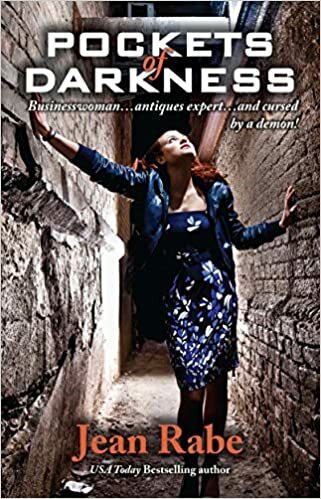 It brings in druids, ancient mysteries and modern science and tackles the controversial issues in a chilling new way that’s also a fun and thrilling read. BRAD From a craft perspective, are each of you rigid outliners, or do you spend more time flying seat-of-the-pants? Or does it vary? JEAN I only wrote one of my novels “seat of the pants” and it took me three times as long to write it. I write much faster when I do an outline. I won’t call it a rigid outline because I always end up changing things. But I put together a chapter-by-chapter outline for my novels so I can see where the story is going. It forces me to write. I can tell myself I have to write a chapter a day, and I don’t have writer’s block ‘cause that chapter is outlined. I even outline short stories . . . but only with a few sentences. DAVE: I consider myself a rigid outliner that spends sometimes more time on plotting that actual writing (because I can type really really fast), but then the ironic part is once I get in the zone and write, by the time I take a breath and look back, what I’ve written bears little resemblance to the outline . . . and it’s usually much better than what I had originally plotted. So . . . I guess I feel it’s still important in that outlining sets the roadmap, but once on the trail, it’s so much more important to go where other unexpected paths take you. BRAD: Historical, paranormal, and contemporary fantasies are very popular right now. What aspects of this specific genre are so attractive to audiences, and what suggestions do either of you have for aspiring writers who are new to the field? JEAN: Well . . . I don’t know why readers like them. Maybe because they stir imaginations. Buffy the Vampire Slayer was popular for years, and that was paranormal/urban fantasy. Harry Dresden of the Dresden Files is top-notch. I know I like writing them because I can mess with reality. I can put a witch in New York City and a ghost-lawyer in San Francisco. I can use an existing place with streets, restaurants, crime statistics and present-day concerns and throw in fantasy to put a different spin on the city. If you want to write in the urban fantasy field, write in it. Don’t duplicate what’s out there, do something new. Pick a new location and a new spin. But write what you want to write. Write in a genre that feels good and sits will with you. Some folks say urban fantasy/paranormal is on the decline. But I don’t see that, at least not yet. And I intend to keep writing in it while I’ve still got the bug to do so. DAVE: I can say that those are the same genres that are most attractive to me now as well, so that’s a good sign! I think that one of literature’s best strengths has always been its ability to offer an escape. And while these types of books offer that aspect in abundance, they also go farther and offer other bonuses. Contemporary fantasies (much like what I tried to do in Final Solstice) present alternative explanations for the suffering and misery around us—whether from terrorists or natural/climate disasters. Historical thrillers can offer tantalizing elements of the past, of a lost history or suppressed knowledge that might have given way to a more bearable present. And the paranormal of course, feeds our thirst for making sense of the unknown, for providing clarity perhaps to the biggest questions of existence—what happens next, and is there a point to any of this? Any writer who can tap into those aspects and provide readers with an escape that is both entertaining and rewarding, will be successful. BRAD: I always like to ask veteran authors this: can you talk about the five best lessons you’ve learned, over your career? Things you maybe wish you knew right at the beginning, or which you only discovered through hard experience? JEAN: 1. Approach writing as a job. Put in 5-8 hours a day if you’re a full-time writer editor. If you do it on the side, block out an hour or two every day and write. Don’t drift off to do something else. If you want to be a writer, you have to park yourself on a chair and move your fingers on the keyboard. 2. Finish what you start. If you outline a book and start on it, finish it. I know a lot of wanna-be writers who have a dozen books started. They’ve finished nothing. They have nothing to market. If you can finish a book, you can go back and fix it, polish it, send it off to an editor or agent. If you can’t finish a book…you better find another pastime or stop calling yourself a writer. 3. Read every day. It makes you study what others do, how they construct plots and detail characters. Reading makes you think about writing. And that makes you a better writer. AND read outside the genre you write in. 4. Mix it up. If I’m writing a fantasy novel and the opportunity comes along to write a short story, I’ll do one with a horror or SF bent. Mixing it up a little bit keeps me fresher and makes writing more challenging and exciting to me. 5. Attend conventions and writer-seminars. I’ve had 33 novels published and I still attend conventions and seminars to learn new things. I’m always learning, meeting other writers, expanding my network. 6. Finish what you start. DAVE: Time flies when you’re writing, that’s a fact. I’m still surprised though that I’ve been at it this long, and that so much has changed. Some of the lessons learned early on may not hold true any more—such as ‘you need an agent’, or ‘really work at getting personal book signings’. The market has changed so much in the past five years even. Bookstores are practically non-existent, libraries are moving online, 95% of my sales are ebooks. It all requires new strategies, internet know-how, blogging and tweeting and all those other social media things I’ve been slow to adopt. Maybe tomorrow it will all change again, and if you haven’t learned how to project book excerpts on you AppleGlasses or whatever the new tech is, then you’re too late. 1. Don’t quit your day job. I received this advice early on, and it really was crucial. You can’t write, think creatively or work on a brand for yourself if you’re worried about making that rent payment in a week. Writing is best done when mundane concerns are under control. So either get a mindless job that takes care of the bills and do this in your spare time (either at work or at home), or find a rich spouse or uncle who’ll leave you millions… Good luck with that. 2. Credit Kevin J. Anderson with this one… Drop the ‘no thanks’ from your language response tree, and if anyone asks you to collaborate, offer up a story for a charity book or other anthology, just say, “I can do that.” You never know where it will lead, and it shows you have the drive and the attitude and the ability to make it. 3. Don’t hitch yourself to one publisher (or genre for that matter). Branch out and see what works best. I’ve got novels with Wordfire, Severed Press, Dragon Moon Press, Crossroad Press and Hive Publishing, and a few I’ve self published. Some work better than others depending on your current work. 4. Go to conferences. Fan ones and writers’ cons. You learn a ton, but most importantly you make great contacts. Network at the bar. I can’t recall how many contacts, requests for stories, or other great authors I met who were then willing to give a blurb or invite me to an anthology. Invaluable. Did I say, network at the bar? With apologies to Ms. Rabe, when she mentioned “ghost-lawyer,” I thought about “hearse-chaser” ads interrupting seances. On editors: I think what they said is absolutely true. The problem for indies is finding a competent editor and the money to hire him or her. Branching out is really useful. My recently published third book is space opera. It’s done way better (for a relative value of “way better”) than the first two, one of which is legal SF, and one of which is hard SF. The space opera has helped sales of the first two. Other eyes seems to be a constant theme. First reader, beta reader, copy editor, each have their place and will catch the inevitable slips that even the best writers are occasionally guilty of. Heinlein is the only author I’ve ever heard claim to produce reliably clean copy, and he attributed that skill to training he received in the Naval Academy. Of course he lied about a few other things as well. Thanks for getting the interview, and sharing it with us! Yes, you cannot cheap out on the cover (unless you really know what you’re doing) and you cannot skip out on an editor, at least for a longer work. A short story maybe. This was a fun interview, Brad. Hope to see more in the future. You just made a sale. Bought Pharos Objective Ebook based on the interview–plus it was only 2.99–less than a comic book. Look forward to reading it.